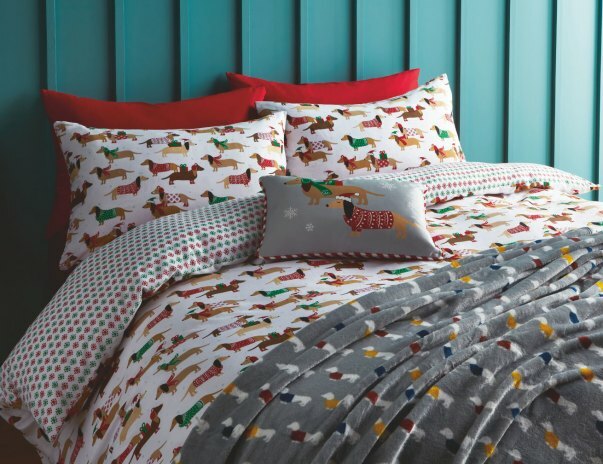 I'm really excited to see how well our Christmas bedding sets are going down this year – including those we designed with the help of suggestions from Asda Facebook fans. 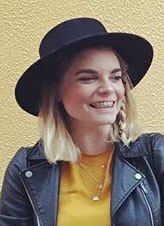 I've been part of Asda's bedding team for the last five years, working on seasonal sets, and I've recently moved across to kids and nursery. 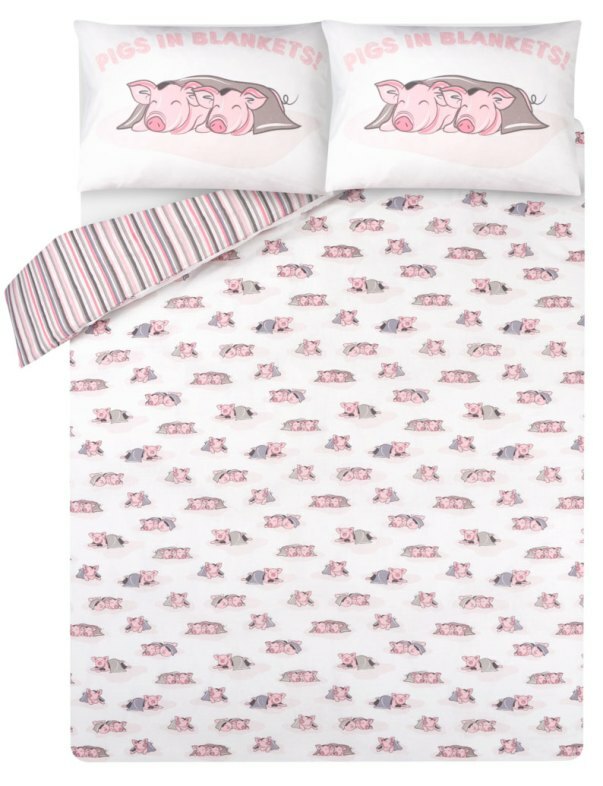 I'm still working on the bedding ranges – just smaller sizes! We start planning our Christmas ranges very early. We're already out finding inspiration for next year's range, and then the design window opens up in January – so it's just Christmas all year round for us! 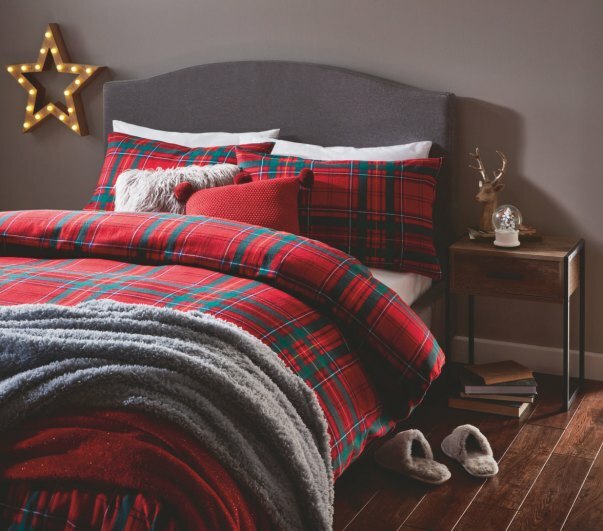 Tartan is one of our most popular bedding set for Christmas, and every single year we look for new ways to update it. We can't forget the reds because that's the true traditional Christmas red – but last year we introduced a navy version which did really well, so when we were developing this year's Christmas range we created a new green, blue and white set. 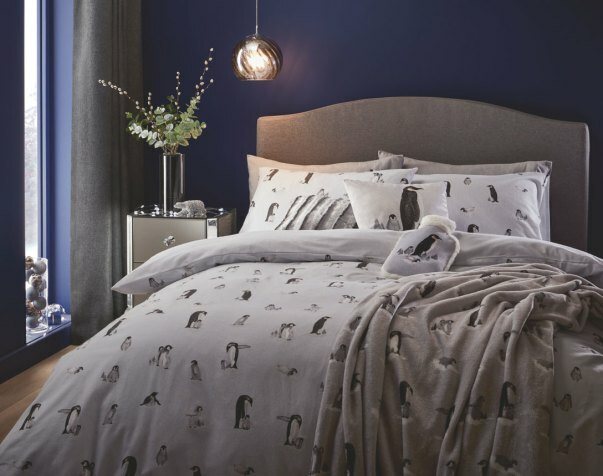 All of our tartan sets are brushed cotton and we also have our cute brushed cotton penguin design – which was actually painted by our in-house designer Danielle Bousfield. He's also on a hot water bottle, a soft throw blanket and a cushion which has a lovely shimmery effect that makes it look like it's glistening in the snow. It's definitely my favourite set – I love everything about it! Our brushed cotton sets are 100% cotton, and we really invest in the quality to get it as soft as possible. They're super soft and as good a quality as sets three times the price. All of our other sets are polycotton which means they're easy care and minimal ironing. You can just take it out of the packet and chuck it on your bed. We've also introduced a new teddy fleece sherpa set for this year, which is online only. It's really fluffy and snuggly – super warm and perfect for when the winter weather really sets in. This year we have continued with our fantastic novelty ranges as well as introducing some more traditional lines like the stag and the classic snowflake design which have been really popular. Our customers love both traditional designs as well as the quirky ones! The Christmas sausage dog set is new this year. We created a set back in January with a sausage dog design and it just flew off the shelves, so off the back of that we knew there was definitely something in the sausage dog trend – it's not just a one time wonder. So for Christmas we've given him some little festive jumpers and hats and scarves, and we liked the pattern so much that we've put it on a cushion and a throw too. 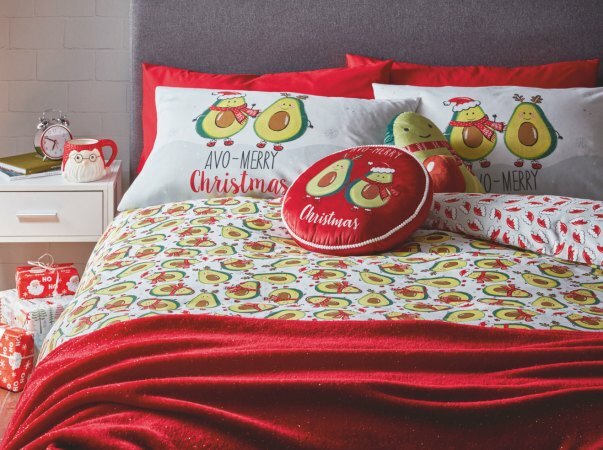 Our avocado bedding from our spring/summer line this year was also really popular so we got thinking about other puns and slogans that we could use for a festive spin on it – and we loved Avo-Merry Christmas! We're always looking for inspiration for the range and we listen to what our customers want to see. We posted on Facebook earlier this year to ask our fans to help suggest new designs for this year's range. Thanks to everyone who took the time to share their suggestions with us – we went through all the comments as a team and that's where the inspiration for our pigs in blankets set and our reversible gingerbread man & Christmas pudding designs came from. The response to the pigs in blankets design has been phenomenal so far. People have been telling us they've been looking for a pig design for years and this one is just great. The Facebook comments have helped to start shaping next year's range too ... so watch this space! All of our duvet sets are backed by our 100 day guarantee so if you're not satisfied with a set for any reason just return it within 100 days with proof of purchase for an exchange or refund. Find our great range of Christmas beddings sets in selected stores and online now.